Enter by 11:59 p.m. on Thursday, March 9th for your chance to win. 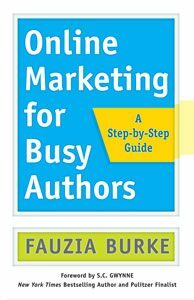 Our March issue (now on newsstands) is all about marketing, self-promotion, and being an “authorpreneur.” So what better week to give away Fauzia Burke’s Online Marketing for Busy Authors? In 1995, Burke founded FSB Associates, which was one of the first companies to focus on digital branding and online book publicity. Since then, the company has taken part in launching more than 2,000 digital book campaigns. 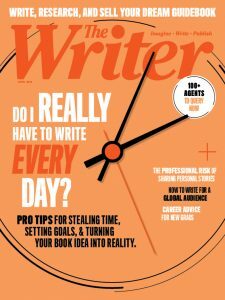 In Online Marketing for Busy Authors, she aims to both demystify and streamline the complicated world of digital book promotion. We’re giving away a copy of Burke’s book to one lucky reader. Enter by 11:59 p.m. EST on Thursday, March 9th for your chance to win.